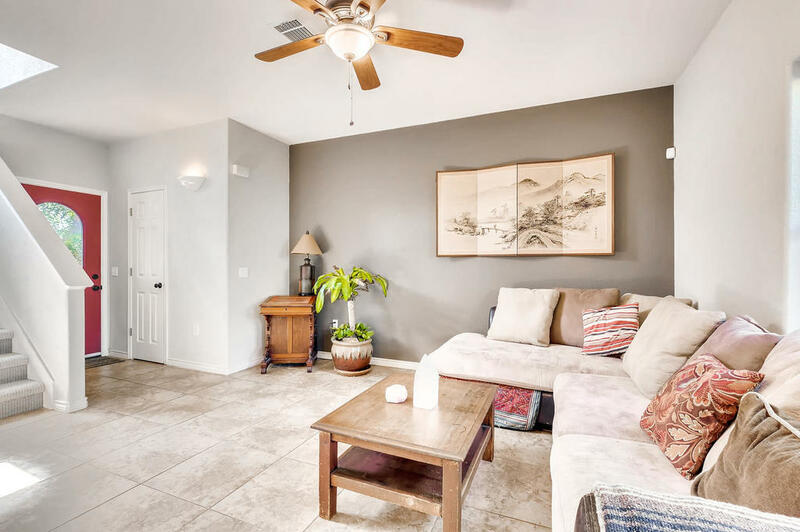 This adorable light filled, stand-alone condo with 3 beds & 2 baths has tile throughout the common areas, an open floorplan, windows galore, walk-in closets, & a spacious kitchen. Private backyard with 2 decks. Upper deck has a fantastic view of green space & downtown with amazing sunset views. Professionally converted garage has a/c & bamboo floors. Small gated community away from the hustle & bustle but within close proximity to major highways, delicious restaurants, shopping & medical.